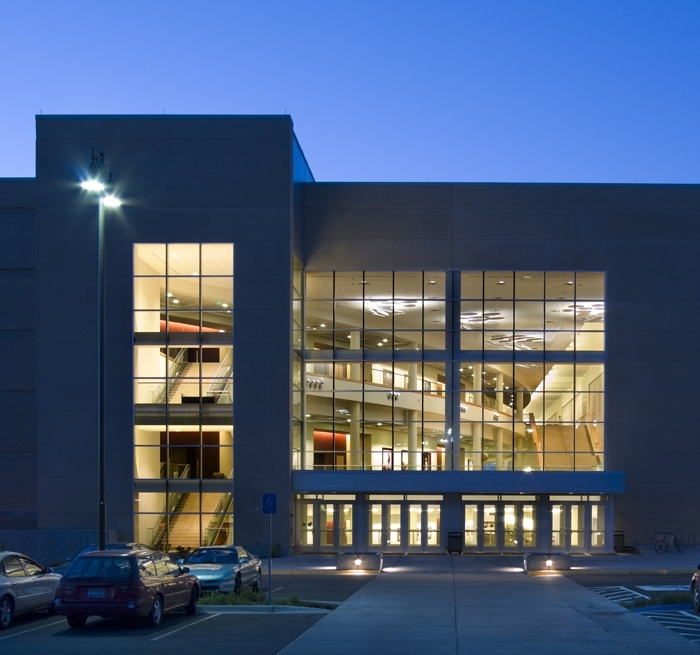 Auerbach Glasow provided architectural lighting design services for the lobby and auditorium audience chamber for the BYU-Idaho Center at Brigham Young University, part of the Church of Jesus Christ of Latter-day Saints’ education system. 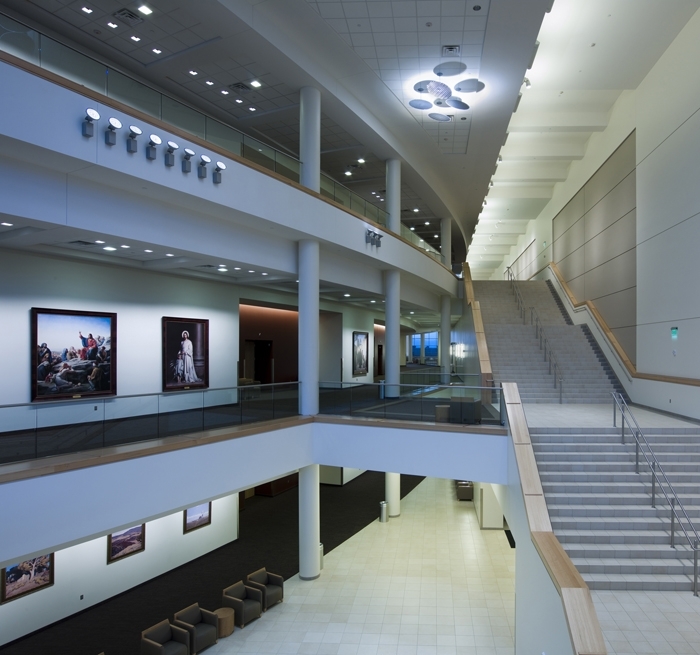 Maintenance challenges in the 67,000-square-foot, three-story high volume main lobby were solved by use of energy-efficient, long life lighting fixtures mounted to the balcony fronts that reflect light to specific areas on the floor via faceted reflector disks on the ceiling. Glowing wall sconces and pendant fixtures help create a luminous lobby that is comfortable and inviting. The entire lobby is controlled by a switching system that changes light levels based upon the time of day and time of year through an astronomical time clock, thus utilizing natural light from the large north and south end windows. 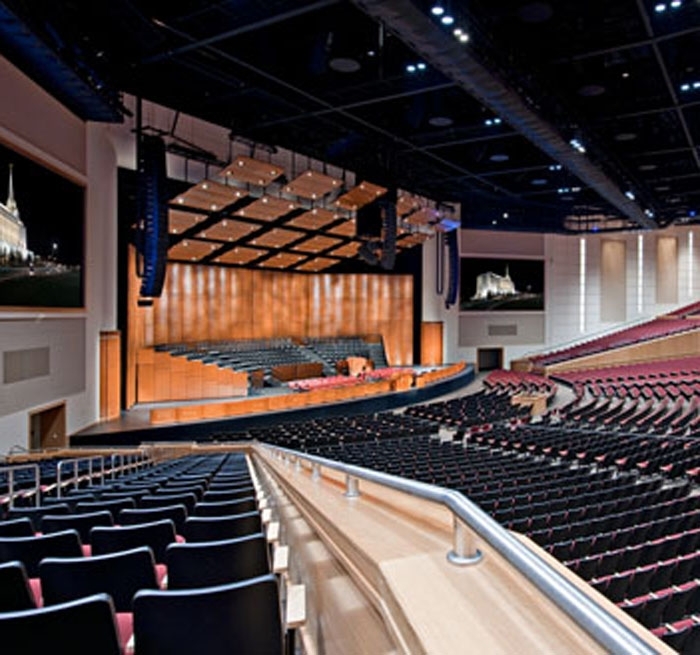 The firm designed the audience chamber lighting of the 15,000-seat fan-shaped auditorium to be customizable for various uses including weekly student devotionals, worship services and campus and community events. Recessed ceiling fixtures and decorative sconces, designed with side wall finishes and other details in mind, provide a soft glow and create an intimate feel in the expansive space. 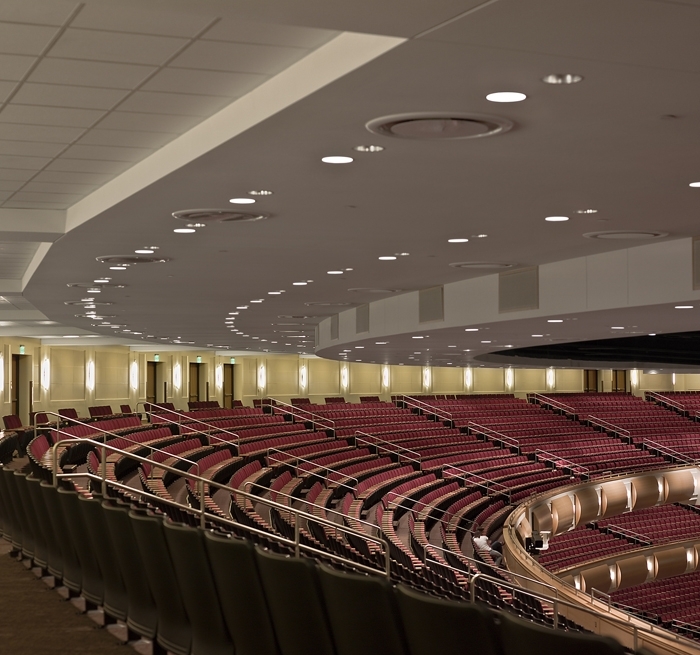 Fully dimmable incandescent quartz halogen downlights allow a theatrical look while all-metal halide downlights provide illumination for lectures. This configurable dual lighting system can be used independently or together if higher light levels are required.